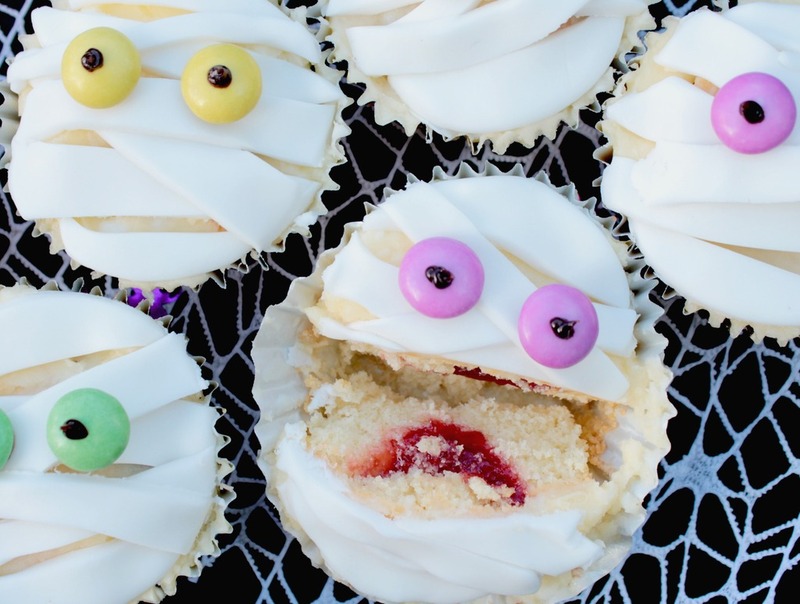 These Halloween Mummy cupcakes are sure to give your guests a surprise this Halloween. They are easy to make with some ready made icing and smarties. Then bite inside to get a surprise! 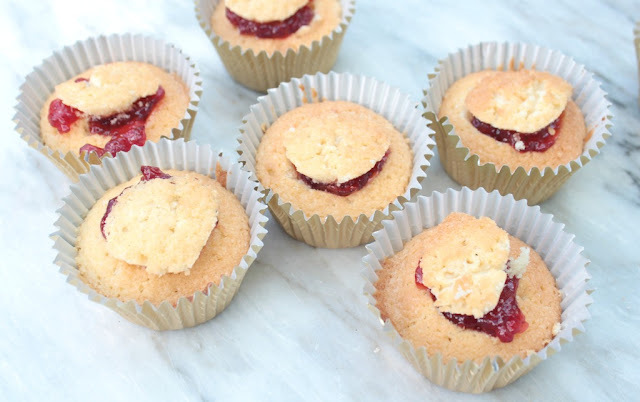 Each cupcake is filled with some strawberry jam bit cutting a round in the cake. Once covered with buttercream and the icing bandages the jam can no longer be seen. 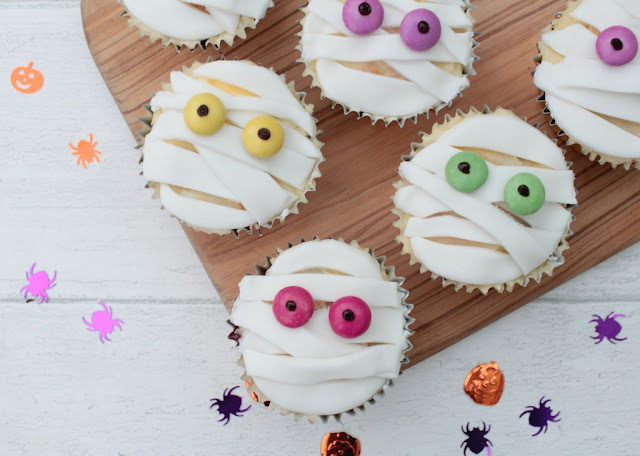 A couple of smarties and an icing pen, finishes off these Halloween Mummies. They are both a trick and a treat! Mix the cupcake ingredients together and divide between 12 cupcake cases. Bake at 180C until golden brown and a skewer comes out clean. Mix the butter and icing sugar together with a small amount of water to make the butter icing. Cut a circle in the middle of each cupcake. Fill with jam and place the cake back in. Cover each cake with buttercream. 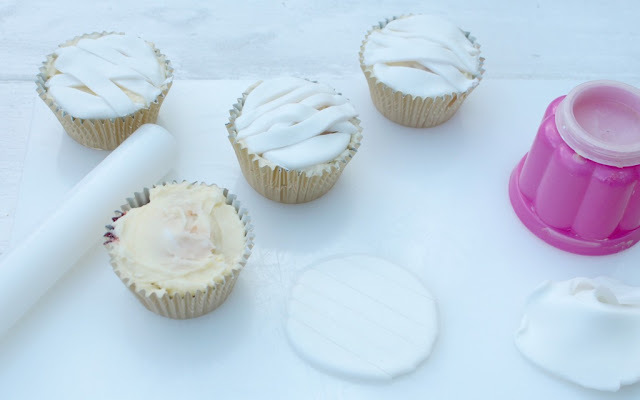 Roll the icing and cut a circle the same size as your cupcake. Cut this into strips and place on your cake. Trim where necessary. Use the icing pen to stick on two smarties for eyes and add pupils.